Sports bar and bistros have conquered Bonifacio Global City. 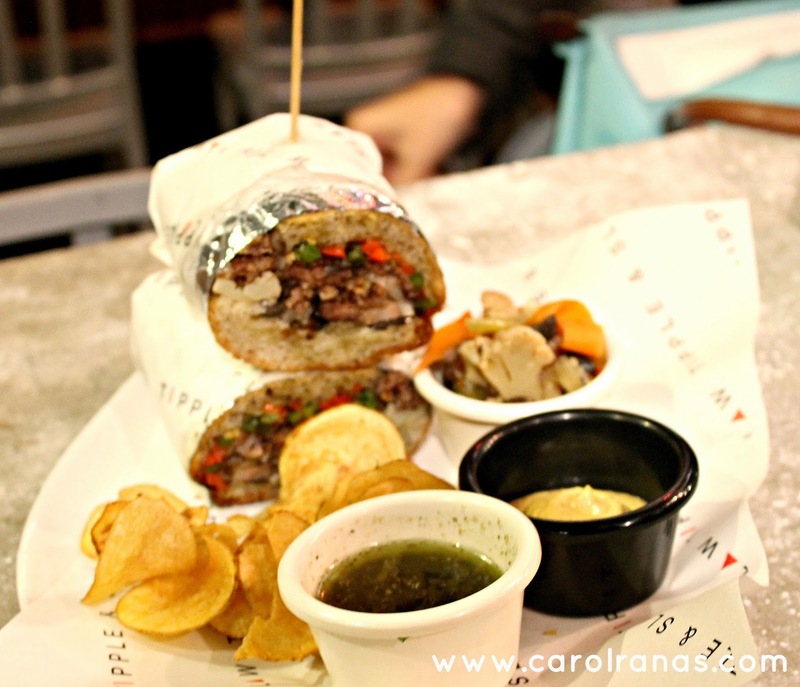 A lot of innovative restaurants have sprouted from all corners of BGC. 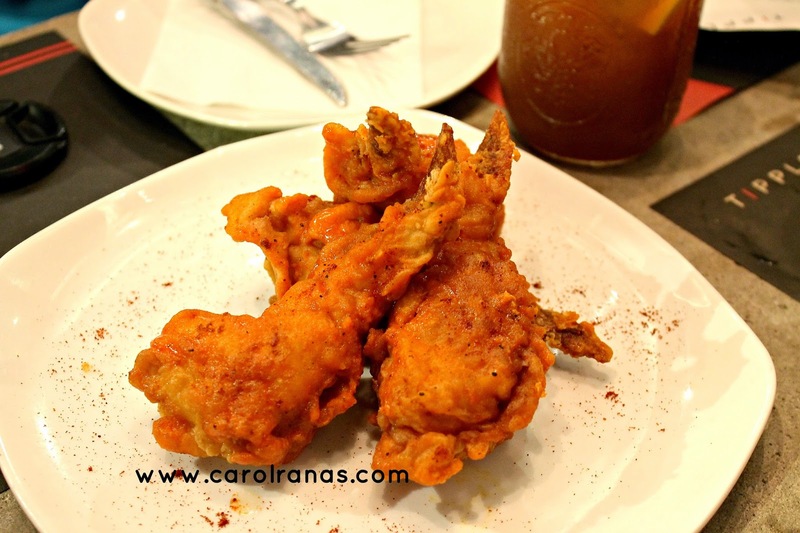 Foodies like me are rejoicing for more options to try to satisfy our hungry tummies. 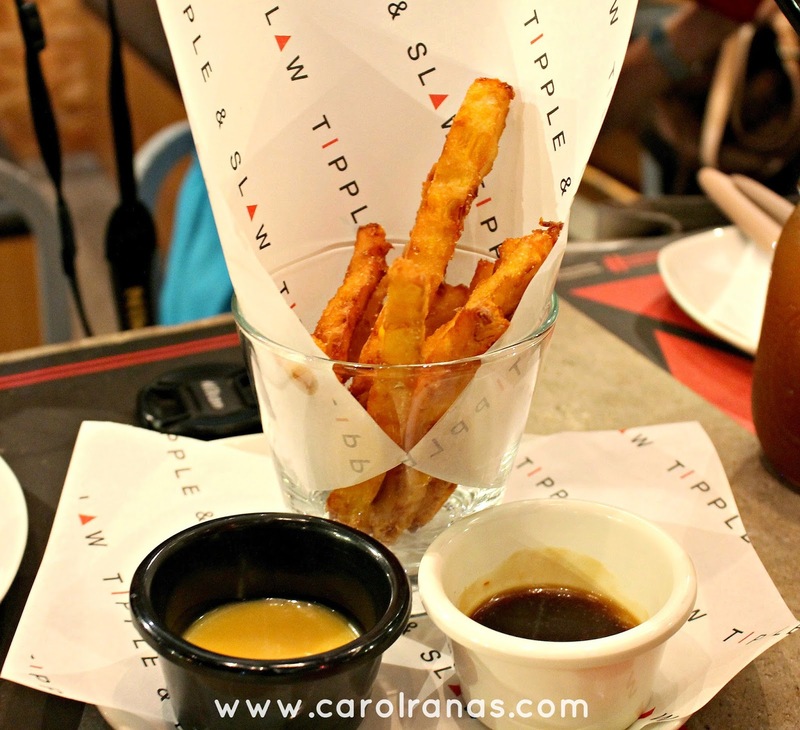 Tipple and Slaw recently opened at the Forum, BGC near The Fort Strip. It serves artisan and unique sandwiches, placing all ingredients you can imagine between those two slices of thick bread. What makes these fries different are the mashed corn made into stick fries which has more fuller flavor. Their fries are served with BBQ sauce, wasabi mayo, and spiced brown honey mustard on the side. These are not your typical store bought nuggets. 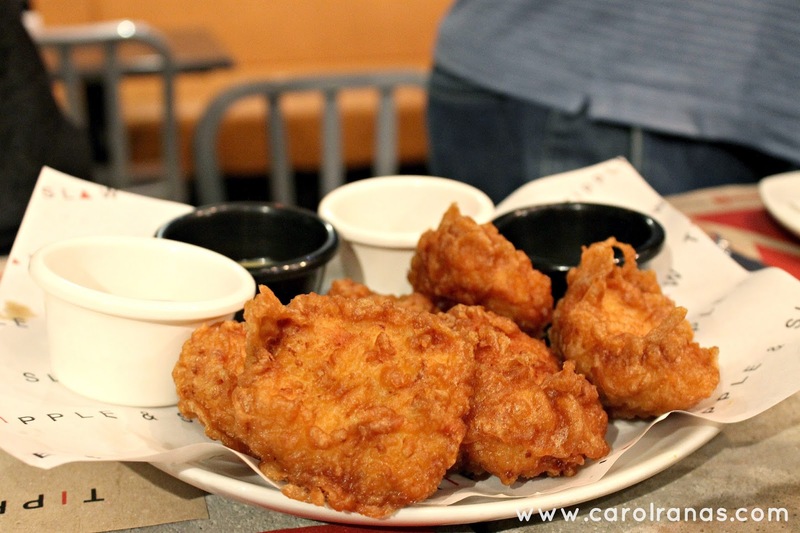 These nuggets are made with crispy (and real) chicken served with BBQ sauce and honey mustard on the side. Tipple and Slaw's Volcanic wings sure are tasty. What makes their wings interesting is the blue cheese stuffed inside the boneless chicken wings coated with buffalo sauce. Buffalo wings never tasted this good. Yay! 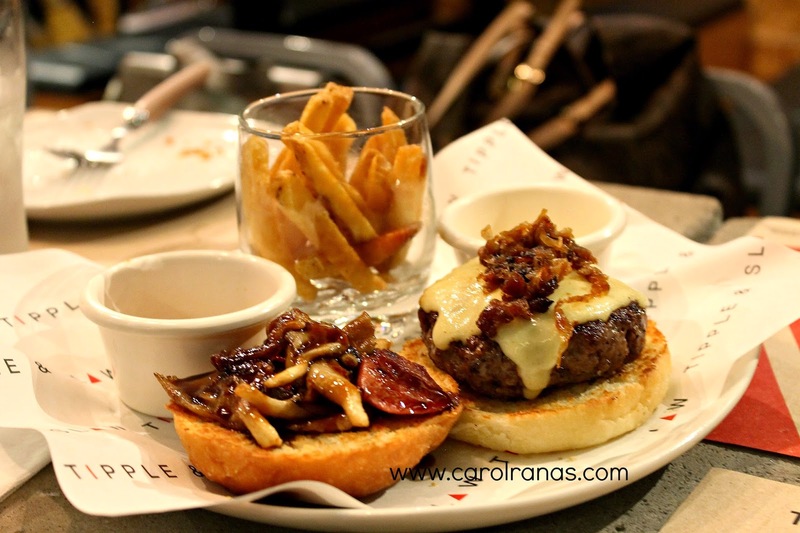 Their burger is made of smoked fresh ground beef, cheddar cheese, crispy bacon, fresh grilled mushroom with BBQ sauce. 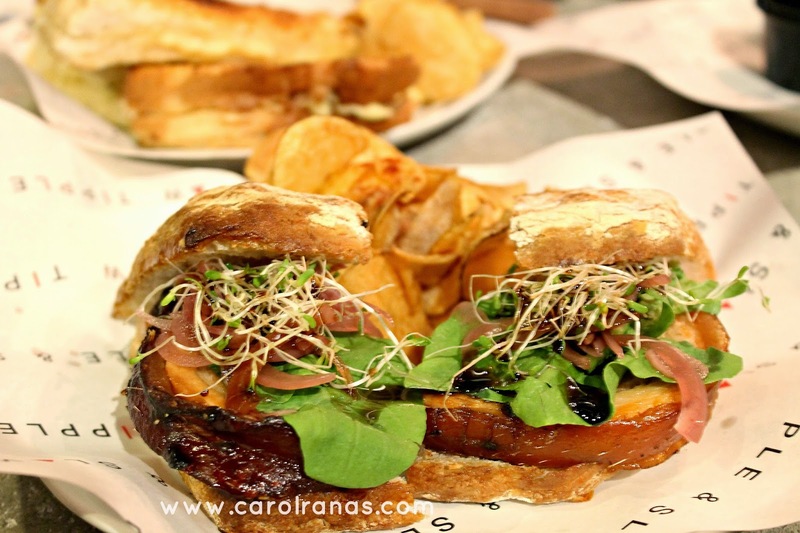 I particularly loved their smoked bacon because it bring so much flavor to their dishes. 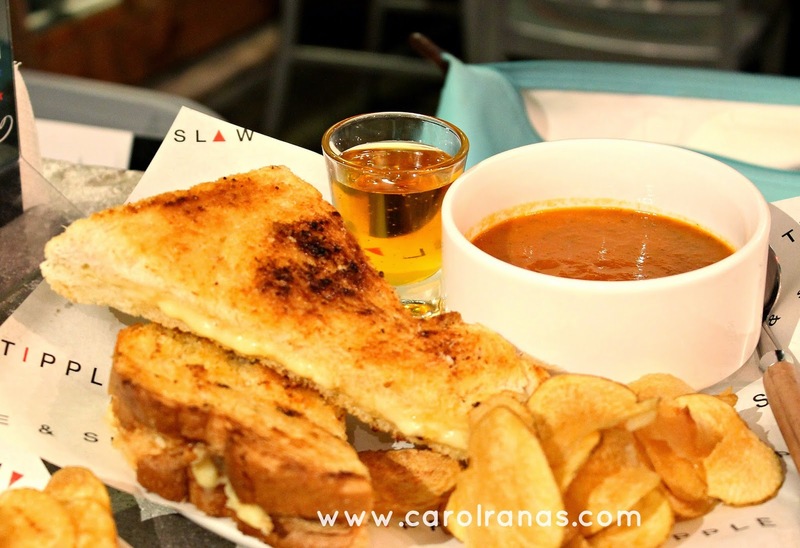 This dish is our good ol' favorite grilled 4 cheese sandwich made more interesting and tasty with truffle. It is served with a side of raw honey and tomato soup which is also delicious on its own. Ordering this will surely satisfy your tummy and get you full in no time. It is Stuffed and roasted pork belly with spicy mustard, creamy horseradish, pickles and coleslaw. This sub is made of roast beef, grilled peppers, Giardi-niera, spicy mustard and beef drippings. This sub is so packed that it will make your jaw sore from serious biting and chewing. If you are into spicy wrap, this is a sure hit for you. This wrap consists of oatmeal crusted chicken, chopped herbs, smoked chili coleslaw in a green vegetable tortilla wrap. There was no hint of oatmeal in the chicken, but this wrap sure has a spicy kick. It has generous amounts of grilled shrimps, fresh salmon, crab meat, crab fat and caviar. 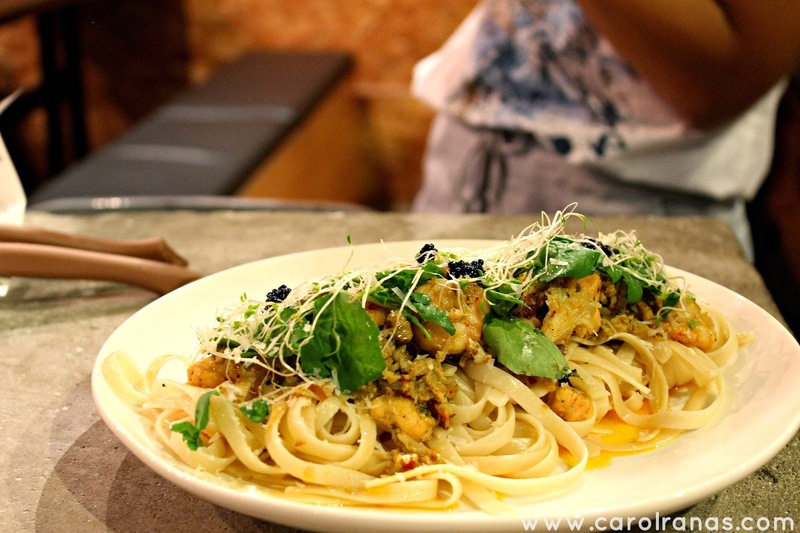 It is one interesting pasta, but the only thing I loved about it is the heaps of crab meat. The taste is a bit of a let down as compared to the other dishes served which were savoringly good. I loved their thin crust pizza topped with pastrami, corned beef and smoked bacon with BBQ sauce and ranch dressing. The pizza is so savory, that it's so delicious. Hands down to this dessert, I must say. It is made of thick vanilla ice cream sandwiched between 2 graham crackers with biscuit spread. 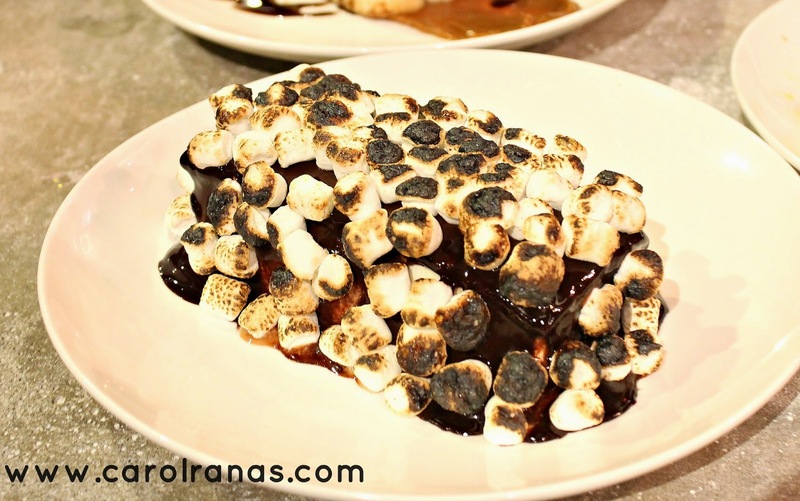 Not only that, it is covered in rich chocolate and topped with burnt marshmallows. Ultimate #foodgasm! This is a mash up of Apple Pie and French toast goodness. 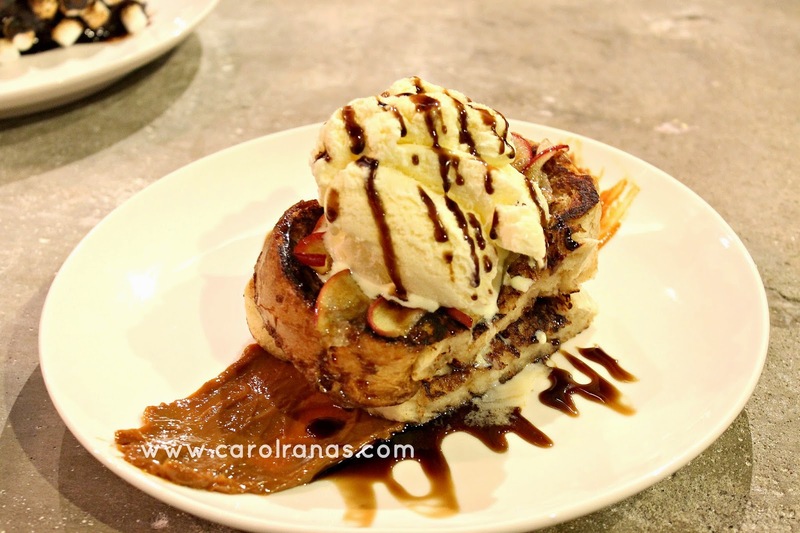 It consists of grilled apples and caramel sauce inside the french toast which is topped with streusel and cinammon dust. It may come off as too sweet but the apple and cinammon gives so much flavor to the dessert. Just wow! 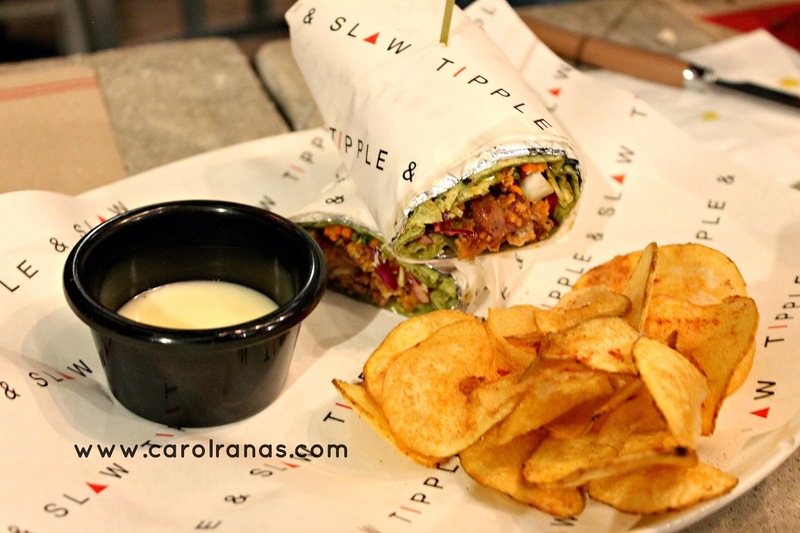 Aside from the interesting sandwiches and awesome desserts, Tipple and Slaw also has a lot of things to try on their menu, including cocktails and drinks which the whole gang will surely love. Get ready for some serious biting (and drinking too!) when you dine at Tipple and Slaw.